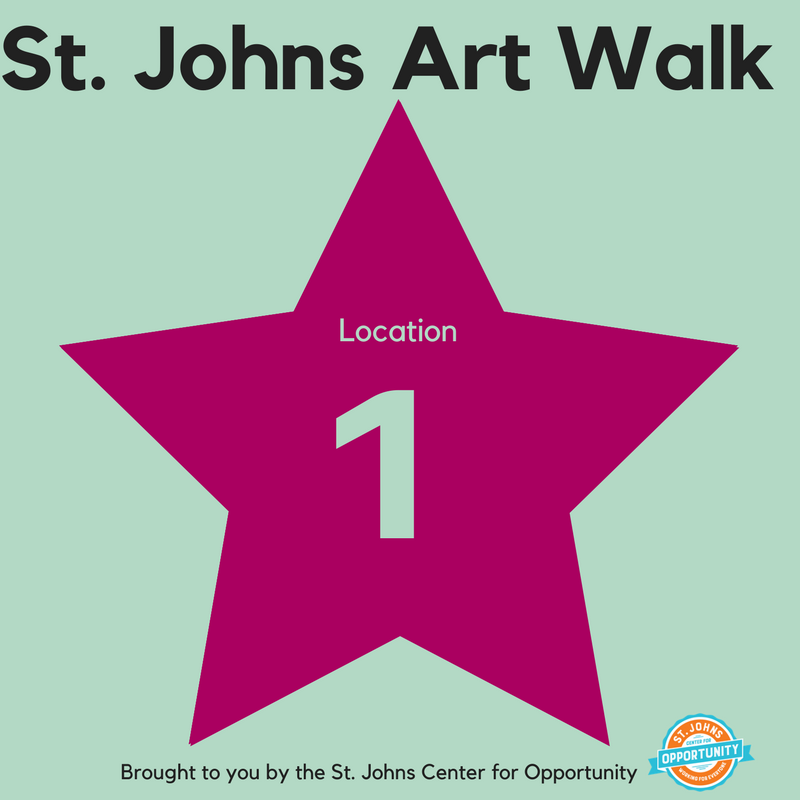 The next St. Johns Art Walk is June 21st from 5-8 pm in Downtown St. Johns! Artist applications are open now. Applications close on May 15th. Look for these signs at the 20 participating locations on the St. Johns Art Walk! Check out the following locations and artists for a night of art and fun in Downtown St. Johns! Download the Kid’s Scavenger Hunt clue sheet here or pick one up at Bridge City Kid during the Art Walk! Return your completed worksheet to Bridge City Kid on Friday and be entered to win sweet kid prizes from local businesses! Thank you to our local businesses and event sponsors for hosting artists during the Art Walk Event!